When I posted the Super Hexagon soundtrack I hadn’t actually played the game itself, just heard the soundtrack. As such I didn’t talk about the music in the context of the gameplay, just imagined what it might be like. Since then I’ve played the game and can talk about the music properly. 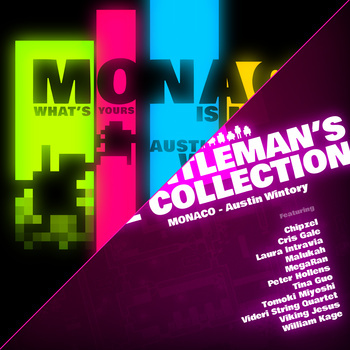 Although the video game soundtrack series was meant to be a regular feature, roughly once a week, here’s a bonus treat: the music to the delicious “Monaco: What’s Yours is Mine“. After mentioning the VVVVVV soundtrack in a recent post I thought I might carry on inflicting my musical tastes on an imaginary readership. 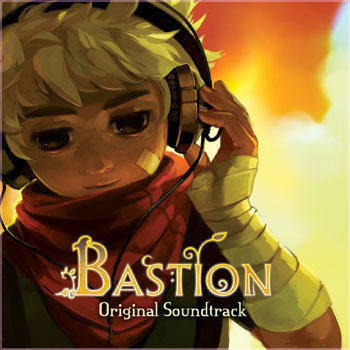 So, in the first of a semi-regular feature on my favourite game video game soundtracks and general spamming of Bandcamp links, let’s kick off with… Bastion.